I've done graphic design and advertising work for Bruce Miles for many years. 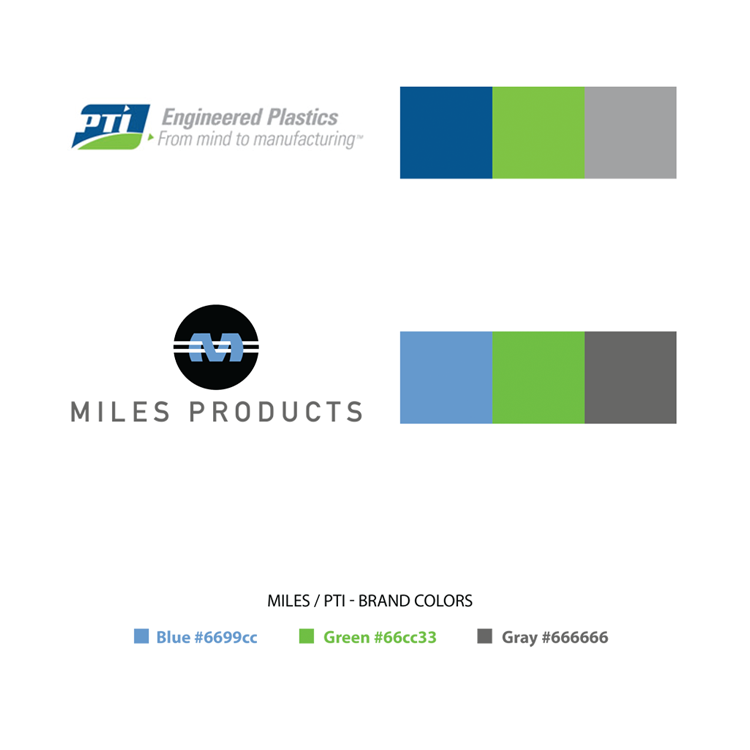 Miles Products represents custom molded thermoplastics manufacturers who make plastic parts and components in all sizes, shapes and descriptions. Yes, there are many interesting, weird and wonderful things made of molded plastic. Designer toys, modern fashion accessories and who knows what comes to mind. But Miles and their partner's mainly produce the slightly less glamorous parts and pieces that go inside bigger, sexier products such as cars and electronics. These parts may not be the stars of the show but they are extremely important to us and the machines they are used in. They are the pieces that make those big fancy products actually work! Always up for a challenge, I enjoy working on the client's projects and especially get a kick out of telling friends the job I'm working on is for an actual widget company! Below is a quick look at the recently launched redesigned Miles Products website. 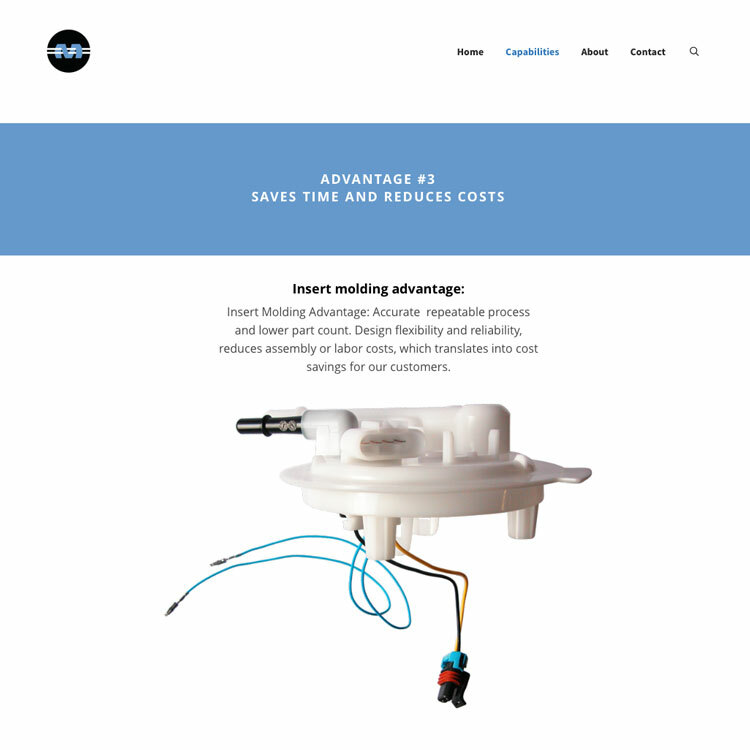 Graphite & Lead was brought in to update the old Miles Products website to a new responsive site. We took the opportunity to rethink the entire Miles Products visual branding when designing and styling the Wordpress theme. Each of the principal companies that Miles represents has its own unique corporate identity. Cues were taken from these colors and blended with our client's colors to create a special Miles-mix so to speak. The bold colors stand out in a manufacturing industry which tends to play it safer with their communications and looks. The clean and bright user experience also contrasts well with the abstract shapes of the lovely products featured. Actually, I’ve come to think the parts are pretty darn good looking, but maybe I've just been staring at them for too long! Graphic icons were created for each of the four main production capabilities offered. The website and communications are just at the beginning phases of work. New original content and updates will be added over time as is the standard practice these days. Overall, we feel it’s a big step forward for the client and were pleased to bring our old plastics friend into the 21st Century. We’ve even finally convinced him of the importance of social media, so there will be some riveting widget-themed blogging and tweeting going on now too! Newer PostPreparing to freshen up the old boy.